Motorola recently introduced a new Android handset in Indian market, named Motorola Defy.The new Motorola Defy Smartphone belongs to rugged class handsets which is dust-proof and water-resistant.The new rugged Motorola Defy Smartphone now available in Indian markets for a price tag of Rs. 18,500. The new Motorola Defy Smartphone comes equipped with a 3.7-inch Capacitive touchscreen display with 480x854 pixel resolution and is powered with an 800Mhz Texas Instruments OMAP 3610 processor along with 512MB RAM.The smartphone runs on Google Android 2.1 Eclair OS but expected to get an update to the Android 2.2 Froyo OS. 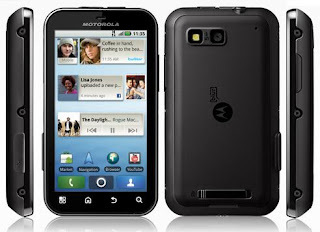 New Motorola Defy Smartphone Features 5 megapixel camera with autofocus and LED flash, MOTOBLUR user interface, 3G, Wi-Fi (802.11 b/g/n), Geotagging, Bluetooth 2.1+EDR, A-GPS, Accelerometer, Proximity Sensor and 2GB internal memory. 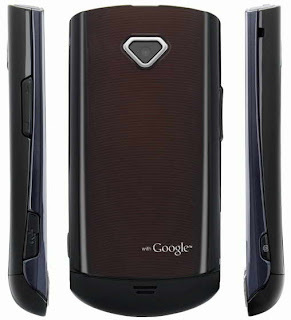 Motorola Defy Smartphone also packed with Google Services like Gmail, Apps, Calendar,Talk and access to Android Market.The smartphone is also integrated with Social Networks like Facebook, Twitter and MySpace.The 1540mAh battery of Defy handset provides 6.8 hours of talk time and about 9.9 days of stand by. Samsung India recently launched the all new Samsung Wave II smartphone in Indian market.The new Samsung Wave II smartphone runs on their new Samsung bada OS and is available now in India for a price tag of Rs 20,900. 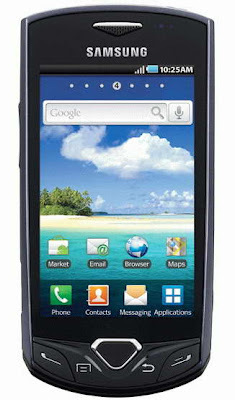 The new Samsung Wave II smartphone equips a 3.7-inch Scratch resistant Super-clear LCD capacitive touchscreen display with a resolution of 480 x 800 pixels and is powered with a ARM Cortex A8 1GHz processor.The smartphone also brings Touchwiz 3.0 user interface that helps to operate multiple screens and is integratedwith various social networks. Samsung Wave 2 smartphone Features 5 MP camera with LED Flash, 2GB internal memory, HD video recording, 3G HSDPA with 3.6 Mbps, GPRS, Bluetooth 3.0 with A2DP, Wi-Fi 802.11 b/g/n Wireless LAN, GPS with A-GPS support, MicroUSB 2.0, 3.5 mm audio jack, TV Out port, Handwriting recognition, Proximity Sensor, Digital Compass and a micro SD vard slot that support up to 32 GB card. Tags:-Samsung Wave II smartphone india price, Samsung Wave II smartphone india release, Samsung Wave II smartphone price in india, Samsung Wave II smartphone india launch, Samsung Wave 2 smartphone india details, Samsung Wave 2 smartphone specs, Samsung Wave 2 smartphone india launch, Samsung Wave 2 smartphone price tag, india Samsung Wave 2 smartphone price. 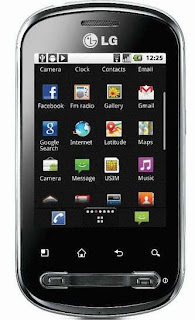 Nokia X2-01 phone- Nokia's new low priced QWERTY music phone that launched in India.The new Nokia X2-01 music phone now available in Indian market for a price of just Rs. 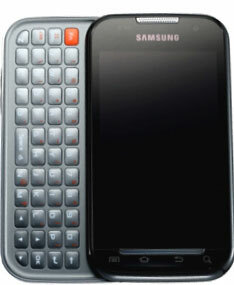 4,459.The QWERTY keypad gives the look of a business handset rather than a music phone. 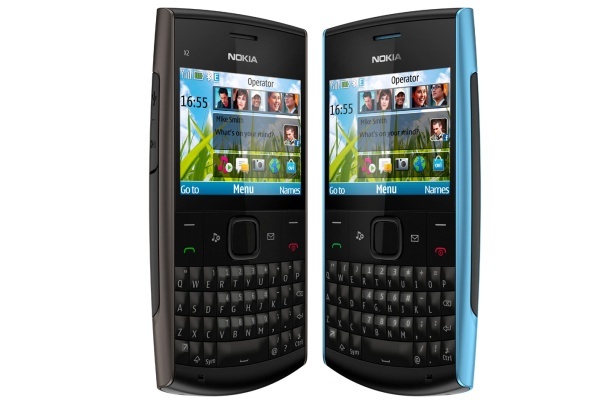 The new Nokia X2-01 QWERTY phone equips a 2.4-inch QVGA display and Features Bluetooth, VGA camera, GPRS, v2.0 microUSB port, 55 MB internal memory, microSD card slot support up to 8GB, 3.5mm headphone jack and a 1020mAh battery. Nokia X2-01 phone doesn't have 3G or GPS support.The handset also lacks music playback keys but a shortcut button is presented on the front.The phone weighs 107.5 g and its dimensions are 119.4 x 59.8 x 14.3 mm. 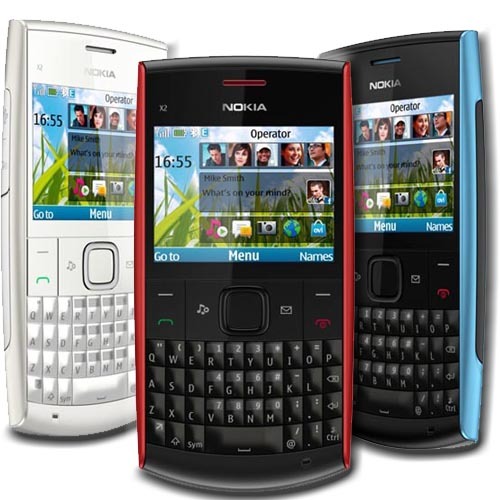 Tags:-low price nokia music phone, nokia low price handset, low price qwerty handset in india, nokia low price handset in india, Nokia X2-01 music phone india launch, Nokia X2-01 music phone india price, Nokia X2-01 music phone india features, Nokia X2-01 music phone details, Nokia X2-01 music phone specifications, Nokia X2-01 music phone pricetag. Motorola on its way to introduce its all new powerful smartphone, named Motorola Droid X2.The Droid X2 is codenamed as Daytona and actually is the successor of the Motorola Droid X smartphone released last June. The available information reveals that the new Motorola Droid X2 comes with a similar design but includes a powerful dual-core processor and also improved display with much higher resolution. The new Motorola Droid X2 Daytona smartphone comes equipped with a 4.3-inch touchscreen display with a higher resolution of 540 x 960 pixels compared to the 480 x 854 pixel resolution of Droid X.The Droid X2 is powered with a 1GHz Nvidia Tegra 2 dual-core processor than the single core chip in Droid X. 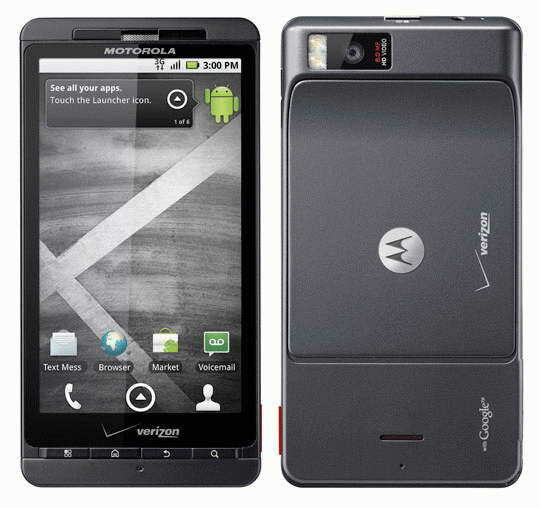 Other Motorola Droid X2 Features includes 8 megapixel rear-facing camera, 720p HD video recording, USB 2.0 port, HDMI out and a microSD card slot.The smartphone expected to run on Android 2.2 Froyo OS or higher version. 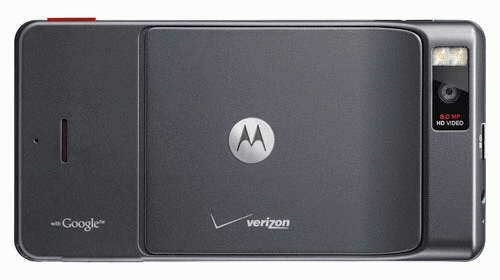 The Motorola Droid X2 smartphone is expected to hit US market soon via Verizon. 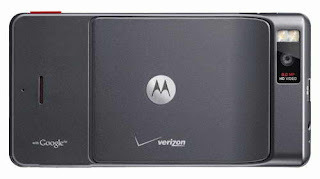 Tags:-Motorola Droid X2 Daytona details, Motorola Droid X2 smartphone features, Motorola Droid X2 smartphone launch, Motorola Droid X2 smartphone release, Motorola Droid X2 smartphone specs, Motorola Droid X2 smartphone availability, Motorola Droid X2 smartphone images, Motorola Droid X2 smartphone configuration, Motorola Droid X2 smartphone processor, Motorola Droid X2 smartphone latest news. Samsung recently introduced a new Android Smartphone that belongs to the Galaxy series smartphone line up, named Samsung Galaxy Mini S5570.The new Samsung Galaxy Mini S5570 smartphone runs on Google Android 2.2 Froyo OS. The new Samsung Galaxy Mini S5570 Smartphone comes equipped with a 3.14-inch touchscreen display with 320 x 240 pixel (QVGA) resolution and includes Swype virtual keyboard, Quick Office and TouchWiz UI.The smartphone is designed to work in GSM/GPRS/EDGE 850/900/1800/1900 MHz and UMTS/HSDPA 900/2100 MHz networks. New Samsung Galaxy Mini S5570 Smartphone Features 3-megapixel camera without autofocus, Bluetooth 2.1 + EDR, Wi-Fi 802.11b/g/n, GPS, 160MB inbuilt memory, digital compass, FM radio with RDS, an accelerometer and a MicroSD card slot. Tags:-Samsung Galaxy Mini S5570 Smartphone features, Samsung Galaxy Mini S5570 Smartphone details, Samsung Galaxy Mini S5570 Smartphone specs, Samsung Galaxy Mini S5570 Smartphone images, Samsung Galaxy Mini S5570 Smartphone configuration. 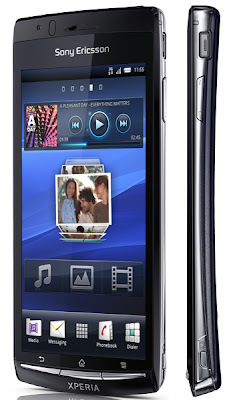 Sony Ericsson recently made the pre-order availability of its all new Sony Ericsson Xperia X12 Arc smartphone in UK markets.The new Sony Ericsson Xperia X12 Arc smartphone now available for pre-order as unlocked for a price tag of £459.99 for and will be free delivered in anywhere UK. 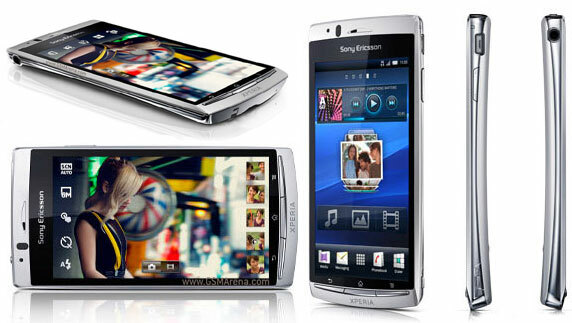 Sony Ericsson Xperia Arc previously named as Sony Ericsson Anzu, Sony Ericsson Xperia X12 and is expected to ships by April 2011. The all new Sony Ericsson Xperia Arc Smartphone equips a 4.2 inches LED-backlit LCD capacitive touchscreen (Reality display with Sony Mobile BRAVIA Engine) display with a 480 x 854 pixel resolution and is powered with Qualcomm MSM8255 Snapdragon 1 GHz processor along with a 512 MB RAM.The Xperia Arc Smartphone runs on Google Android OS probably Gingerbread OS. New Sony Ericsson Xperia Arc Smartphone Features 8.1 megapixel autofocus camera with LED flash, Stereo FM radio with RDS, 720p HD video recording, Wi-Fi 802.11b/g/n, Bluetooth, EDGE with HSDPA, GPRS, 3G, GPS with A-GPS support, Touch focus, image stabilization, geo-tagging, face and smile detection, microUSB, 3.5 mm audio jack and a microSD card slot support up to 32GB card but comes with 8 GB card included. Sony Ericsson Xperia X12 smartphone includes a Li-Po 1500 mAh battery providing a Stand-by life up to 430 hrs in 2G or Up to 400 hrs in 3G and the talk time life is Up to 7 hrs in 2G and 3G.The smartphone weighs 117 g with its dimensions are 125 x 63 x 8.7 mm and a thickness of just 8.7 mm!!.. Tags:-Sony Ericsson Xperia Arc Smartphone, Sony Ericsson Xperia Arc Smartphone details, Sony Ericsson Xperia Arc Smartphone features, Sony Ericsson Xperia Arc Smartphone specs, Sony Ericsson Xperia Arc Smartphone colors, Sony Ericsson Xperia Arc Smartphone price, Xperia Arc Smartphone price details, Xperia Arc Smartphone launch, Sony Ericsson Xperia Arc Smartphone release, Sony Ericsson Xperia Arc Smartphone complete specs, Xperia Arc full details, Xperia Arc Smartphone images, Sony Ericsson Xperia Arc Smartphone camera, Sony Ericsson Xperia Arc Smartphone memory, Sony Ericsson Xperia Arc Smartphone configuration. MSI recently made official a new multimedia Laptop, named MSI CR650.The new MSI CR650 laptop is based on hybrid CPU and includes Chiclet keyboard and seamless touchpad.The notebook comes pre-loaded with Windows 7 Home Premium OS. 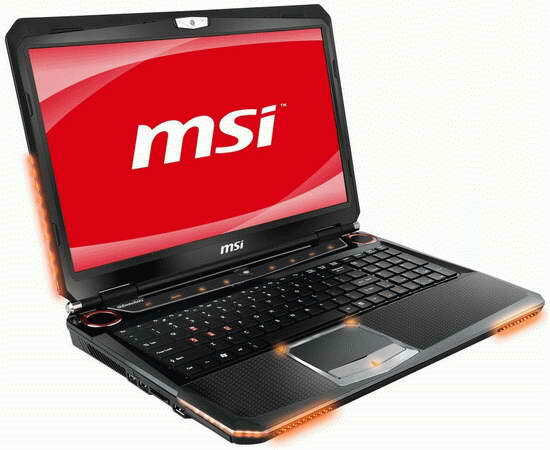 The new MSI CR650 entertainment laptop comes equipped with a 15.6-inch HD LED backlight display with 1366×768 pixel resolution and is powered with a hybrid CPU which includes the latest generation AMD dual core 1.6 GHz E-350 processor that belong to Zacate family, integrated memory controller and Radeon HD 6310 integrated graphics that support for DirectX 11. 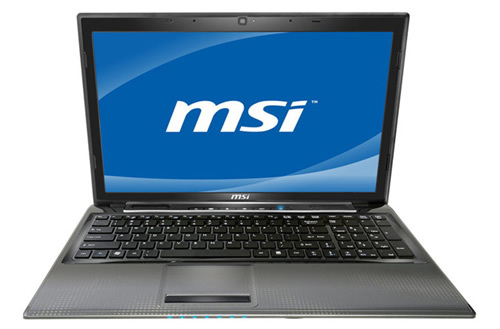 All new MSI CR650 multimedia laptop houses a 250GB/320GB/500GB HDD and Features HD webcam capable of capture 720p video, DVD Super Multi, Wi-Fi 802.11b/g/n, Gigabit Ethernet LAN, three USB 2.0 and 4-in-1 Card Reader.The MSI CR650 multimedia laptop will provide theater-class wrap around stereo courtesy of SRS PC Sound and Cinema Pro technologies that enables users to make adjustments to graphics. New MSI CR650 laptop includes Turbo Battery+ technology for power control.The laptop weighs about 2.3 kg and its dimensions are 383 x 249.3 x 38 mm.The price details of MSI CR650 laptop is not revealed yet. 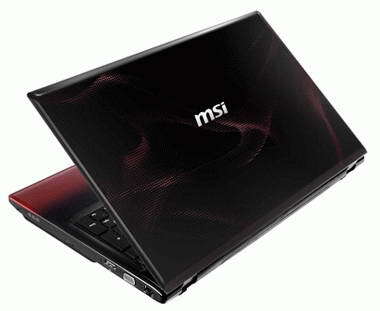 Tags:-MSI CR650 Multimedia Laptop details, MSI CR650 Multimedia Laptop launch, MSI CR650 Multimedia Laptop release, MSI CR650 Multimedia Laptop specs, MSI CR650 Multimedia Laptop images, MSI CR650 Multimedia Laptop configuration. Nine month after the official launch of iPad, Apple recently announced its launch date in Indian market.According to The Telegraph reported Apple iPad hits Indian markets on 28th January and is available via Apple's premium retailers. Both the versions comes in capacities of 16GB, 32GB and 64GB. Its a great disappoint that Apple takes all this time to launch iPad in Indian market.The news also reveals that the 2nd generation ipad ie ipad 2 is just three months away from the official launch the question is will Apple made us Indians to wait another nine month for that...wait and watch.. 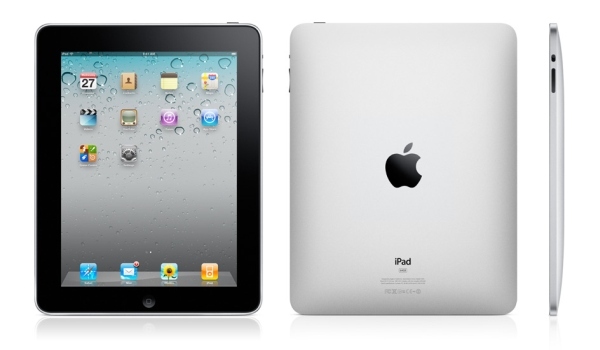 Tags:-Apple iPad India price tag, Apple iPad India launch date, Apple iPad India official launch, Apple iPad India official release, Apple iPad India launch details, Apple iPad India price details, Apple iPad India version prices, Apple iPad India specs. LG Electronics on its way to bring to sale its all new LCD Full HD monitor, named LG M2762WS-PM Monitor in markets by the end of this month ie January 2011.The new LGM2762WS-PM Full HD Monitor comes available for a price tag of $400. The new LG M2762WS-PM Full HD Monitor equips a 27-inch panel size with 1920 x 1080 pixel (Full HD) resolution and Features 2ms response time (GTG), 300 cd/ms2 brightness, and 1000:1 contrast ratio. LG M2762WS-PM Full HD Monitor also houses 2x5W stereo speakers, two HDMI, D-Sub and DVI ports, component and composite video inputs, and S-Video.The LG new HD monitor can be connected with computer, Blu-ray player, game console, etc. 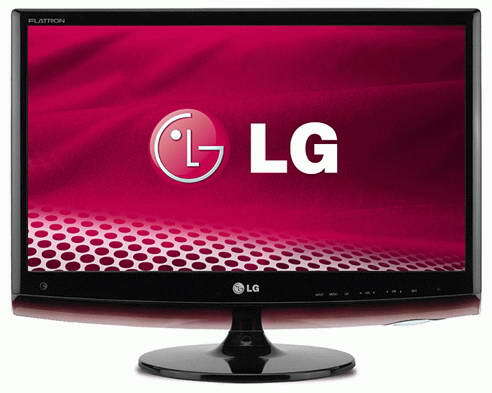 The weight of the new LG M2762WS-PM HD monitor is 7.2 kg and its dimensions are 649 x 210 x 485 mm. Tags:-LG M2762WS-PM Full HD Monitor price, LG M2762WS-PM Full HD Monitor features, LG M2762WS-PM Full HD Monitor specs, LG M2762WS-PM Full HD Monitor images, LG M2762WS-PM Full HD Monitor details, LG M2762WS-PM Full HD Monitor price tag, LG Full HD Monitor price. 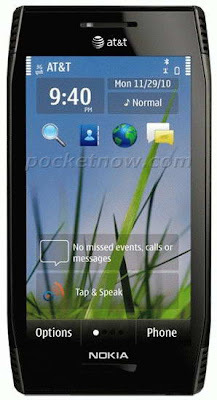 Samsung recently made official about the details of their latest Android smartphone, named Samsung Gem SCH-i100.The new stylish bar-style phone runs on Google Android 2.1 Eclair OS. New Samsung Gem SCH-i100 smartphone equips a 3.2-inch WQVGA touchscreen display and is powered with a 800MHz processor.The smartphone has a 124MB internal memory and is expected to be launched via Verizon mobiles in US market. 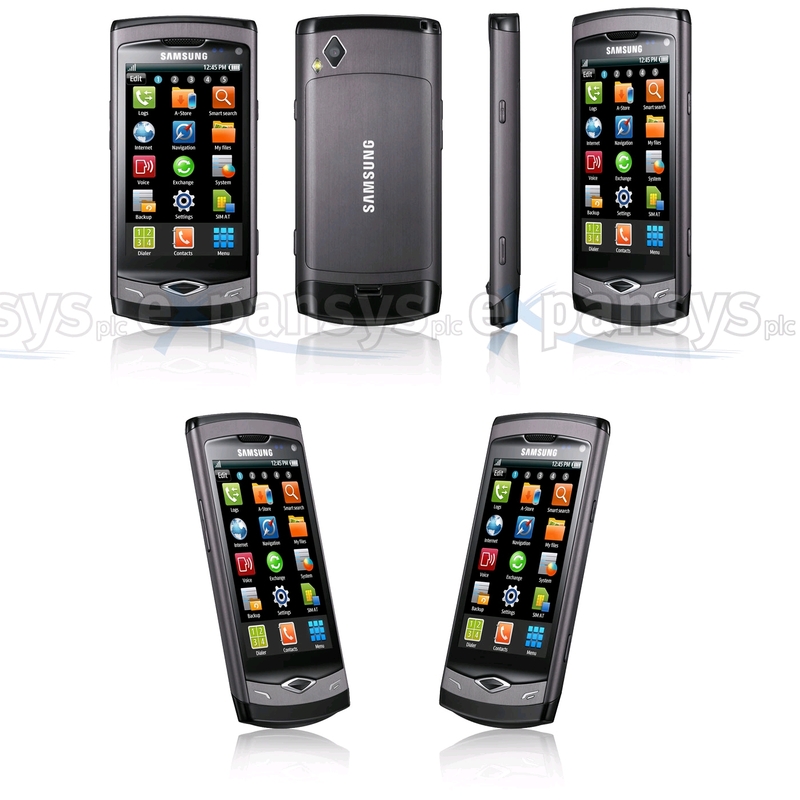 All new Samsung Gem smartphone Features 3.2MP camera, Swype virtual keyboard, Bluetooth, speakerphone, microSD card slot capable of supporting up to 16GB memory card and also is integrated with social networks via Samsung Hub. 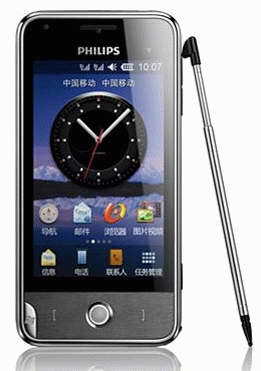 Samsung Gem SCH-i100 smartphone battery provides 410 minutes talk time and about 800 hours standby life.The smartphone weighs 3.85 ounces and its dimensions are 4.48 x 2.18 x 0.48 inches. Tags:- new Samsung Gem smartphone details, Samsung Gem SCH-i100 smartphone features, Samsung Gem SCH-i100 smartphone specs, Samsung Gem SCH-i100 smartphone images, Samsung Gem SCH-i100 smartphone configuration, Samsung Gem SCH-i100 smartphone specifications, Samsung Gem SCH-i100 smartphone memory, Samsung Gem SCH-i100 smartphone camera. 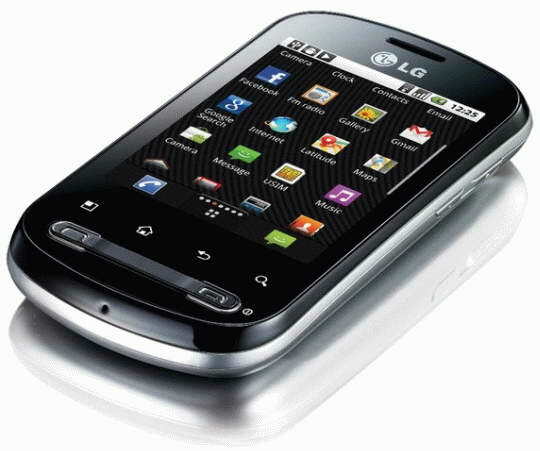 LG Electronics recently announced a new low-end Android smartphone, named LG Optimus Me P350.The new LG Optimus Me P350 Smartphone runs on Android 2.2 Froyo OS and is available in five color options. The new LG Optimus Me P350 Smartphone equips a capacitive touchscreen TFT display with 320 x 480 pixels (HVGA) resolution and is designed to work in GSM/GPRS/EDGE 850/900/1800/1900 MHz and UMTS/HSDPA 900/2100 MHz cellular networks. 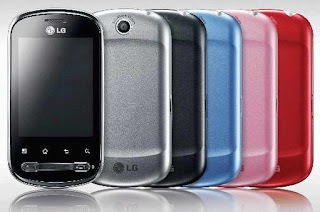 LG Optimus Me P350 Smartphone Featues 3.2MP camera, 140MB internal memory, Wi-Fi 802.11b/g/n, Bluetooth 2.1 + EDR, GPS, FM radio with RDS, MicroSD / MicroSDHC card slot and 3.5mm headphone jack.The smartphone packs a 1500 mAh battery capable of providing about 5 hours of talk time life and almost 450 hours standby time. 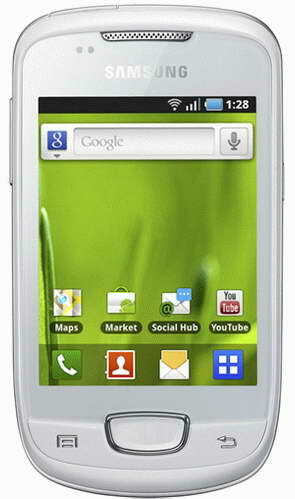 The price details of new LG Optimus Me P350 smartphone is not available at this moment. Tags:-LG Optimus Me P350 Smartphone details, LG Optimus Me P350 Smartphone features, LG Optimus Me P350 Smartphone specs, LG Optimus Me P350 Smartphone release, LG Optimus Me P350 Smartphone price, LG Optimus Me P350 smartphone review, LG Optimus Me P350 smartphone images, LG Optimus Me P350 smartphone shades. Sony recently introduced a new 3D camcorder, named Sony HDR-TD10.The all new Sony HDR-TD10 3D Full HD camcoder is the world’s first ‘Double Full HD’ 3D consumer Handycam with integrated Dual Camera System. New Sony HDR-TD10 3D camcoder equips a 3.5-inch WIDE 3D/2D Xtra Fine LCD display with TruBlack technology and capable of taking full high-definition 3D video.Sony HDR-TD10 handycam support naked-eye 3D vision of the captured video on the display. All new Sony HDR-TD10 3D handycam houses a two wide-angle G-Lenses (29.8 mm focal length), two backside-illuminated Exmor R CMOS sensors, and dual Sony’s BIONZ image processing engines.The new Sony HDR-TD10 3D camcoder helps in capturing 3D video in Full HD with a 1920 x 1080 pixel resolution and also capable in taking 7MP still image. 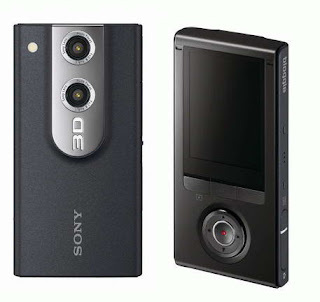 Sony HDR-TD10 3D Double Full HD handycam is provided with a 10x optical zoom in 3D and 12x in 2D mode.The camcorder has a 64GB internal memory and a built-in microphone with 5.1channel surround system, wind noise reduction, and audio level meter. Sony HDR-TD10 3D Full HD Camcoder will be available from April 2011 with a price tag of about 150,000 yen (around $1,500). Tags:-Sony HDR-TD10 3D Full HD Camcoder, Sony HDR-TD10 3D Full HD Camcoder price, Sony HDR-TD10 3D Full HD Camcoder features, Sony HDR-TD10 3D Full HD Camcoder specs, Sony HDR-TD10 3D Full HD Camcoder details, Sony HDR-TD10 3D Full HD Camcoder price tag, Double Full HD camcoder from Sony, Sony Full HD Camcoder. 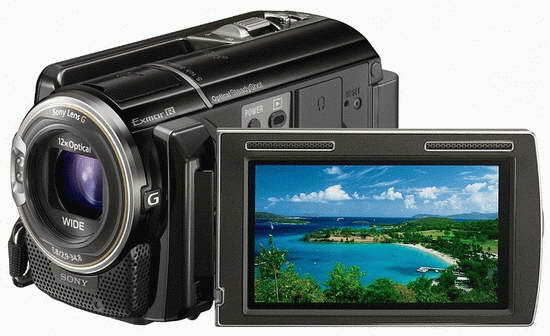 Sony recently introduced a new Full HD Camcorder that features a built in small projector, named Sony HDR-PJ50V. The new Sony HDR-PJ50V Full HD handycam packs a 3-inch LCD touchscreen display and a small projector which is placed on the opposite side of the display screen.mini projector of Sony HDR-PJ50V camcorder is capable of projecting images up to 60 inches with 18 feet distance from the display screen. Sony HDR-PJ50V Full HD Projector camcorder Features 220GB hard drive, 12x optical zoom, 1080/60p video recording (up to 24mbps), S-Master digital amplifier and Clear Phase technologies, stereo speakers, GPS, and Exmor-R image sensors. 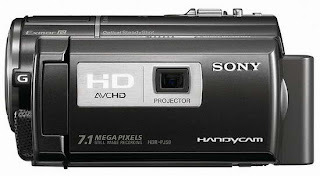 The all new Sony HDR-PJ50V Full HD Projector camcorder will be available in April 2011 for a price tag of about $1,000. 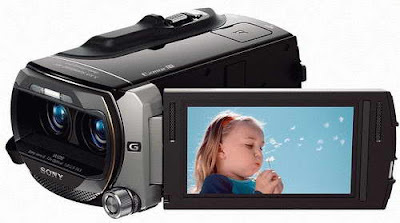 Tags:-Sony HDR-PJ50V Full HD handycam price, Sony HDR-PJ50V Full HD handycam details, Sony HDR-PJ50V Full HD handycam specs, Sony HDR-PJ50V Full HD Projector camcorder price, Sony HDR-PJ50V Full HD Projector camcorder launch, Sony Full HD Projector camcorder details, Sony Full HD Projector camcorder price tag. Samsung on its way to bring the all new powerful smartphone named Samsung Galaxy S2 Seine on February 13th at the MWC 2011.The new Galaxy S2 Seine is based on a powerful dual core processor. New Samsung Galaxy S2 Seine smartphone comes equipped with a 4.3-inch Super AMOLED Plus display with 800 x 480 pixel resolution and is powered with a dual core Samsung Orion processor along with 1GB RAM module. 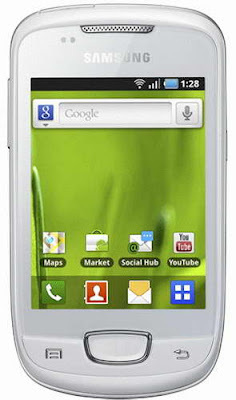 Samsung Galaxy S2 Seine smartphone runs on Android 2.3 Gingerbread OS and Features 8MP camera with capable to Full HD (1080) video recording.The new powerful smartphone has a thickness less than 9mm. 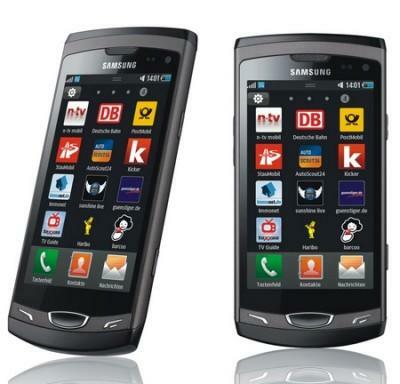 Tags:-Samsung Galaxy S2 Seine Smartphone details, Samsung Galaxy S2 Seine Smartphone features, Samsung Galaxy S2 Seine Smartphone specs, Samsung Galaxy S2 Seine Smartphone launch, Samsung Galaxy S2 Seine Smartphone release, Samsung dual core Smartphone. Nokia on its way to launch its all new smartphone, named Nokia N9 in markets soon.The official announcement is expected to occur at the upcoming Mobile World Congress 2011 (MWC 2011) to be held in Barcelona (Spain) from 14 to 17 February 2011. The new Nokia N9 Smartphone will be powered with 1.2GHz Intel Atom processor and is based on MeeGo OS.Other expected Nokia N9 Features includes 12 megapixel camera with HD video recording, and 64GB of internal memory. Tags:-Nokia N9 Smartphone details, Nokia N9 Smartphone specs, Nokia N9 Smartphone features, Nokia N9 Smartphone launch, Nokia N9 Smartphone specifications, Nokia N9 Smartphone camera, Nokia N9 Smartphone os, Nokia N9 Smartphone processor, Nokia N9 Smartphone memory. HTC, Taiwanese smartphone manufacturer now all well set to bring to sales its new tablet PC, named HTC Flyer.The new HTC Flyer Smartphone is expected to hit US market by march 2011 via a Telecom carrier and in other markets by Q2 2011. 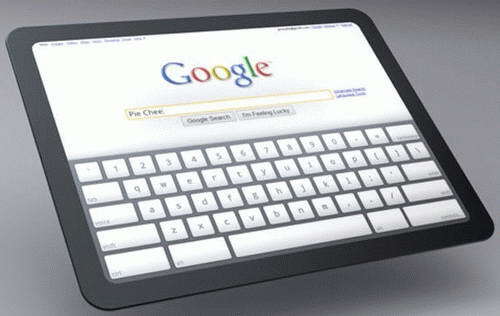 The new HTC Flyer tablet is expected to be powered with Tegra 2 CPU and runs on Google Android 2.3 OS.The user will be able to upgrade to the Honeycomb OS when its available. 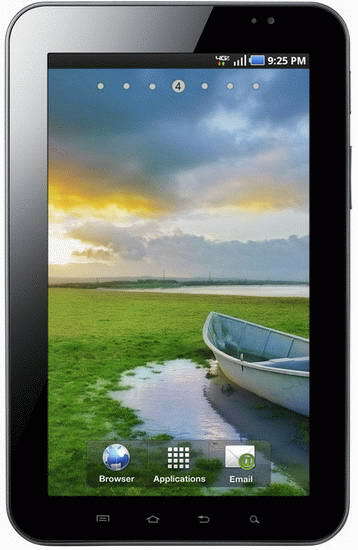 Tags:-HTC Flyer tablet features, HTC Flyer tablet launch, HTC Flyer tablet release, HTC Flyer tablet specs, HTC Flyer tablet details, HTC Flyer tablet, HTC Flyer tablet review, HTC Flyer tablet os, HTC Flyer tablet configuration. Microsoft recently started taking the pre-order of the new ASUS Eee Slate EP121 at their online stores.New ASUS Eee Slate EP121 now available for a price tag of $1099 and will be shipped by the last week of January 2011. New Asus Eee Slate EP121 equips a 12.1-inch LED Backlight WSVGA display with a resolution of 1280 x 800 pixels and is powered with a 1.33GHz Intel Core i5-470UM dual-core processor.The Eee Slate can support up to 4GB RAM and a 64GB SSD as storage option. All new Asus Eee Slate EP121 comes pre-loaded with Windows 7 Home Premium OS and Features webcam, high-quality stereo speakers, Wi-Fi 802.11b/g/n, Bluetooth 3.0, HDMI output, MMC/SD card reader, two USB ports and a 3 hours life provider battery.The new Asus Eee Slate weighs 1.15 kg and its dimensions are 312 x 207 x 17 mm. 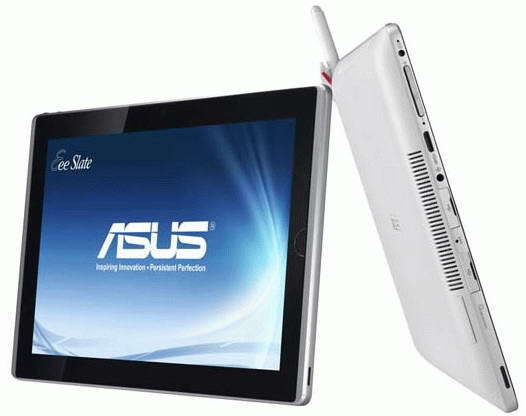 Tags:- ASUS Eee Slate EP121 launch, ASUS Eee Slate EP121 price tag, ASUS Eee Slate EP121 specs, ASUS Eee Slate EP121 images, ASUS Eee Slate EP121 details, ASUS Eee Slate EP121 release, ASUS Eee Slate EP121 pre-order details. 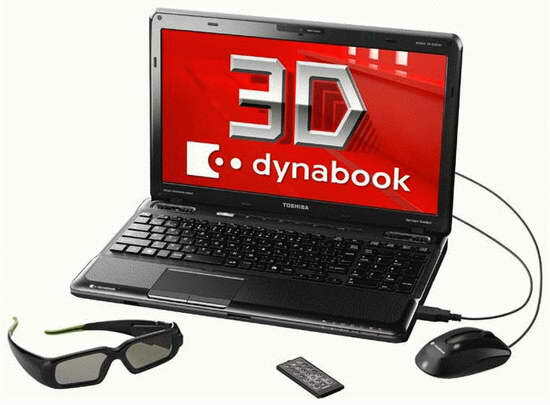 Toshiba recently introduced new Sandy Bridge-based powerful 3D laptop, named Toshiba DynaBook T551/D8B.The new Toshiba DynaBook T551/D8B is based on Intel Huron River platform and pre-loaded with Windows 7 Home Premium 64bit OS.The 3D DynaBook comes bundled with 3D glasses. The new Toshiba DynaBook T551/D8B 3D Notebook comes equipped with a 15.6-inch 120Hz display with 1366 x 768 pixel resolution and is powered with a 2.0GHz Core i7-2630QM quad-core processor.The DynaBook T551/D8B 3D laptop also houses a an Nvidia GeForce GT 540M graphics accelerator with 1GB VRAM, 8GB RAM and 750GB HDD for storage option. New Toshiba DynaBook T551/D8B laptop Features web camera, Gigabit Ethernet LAN, Wi-Fi 802.11b/g/n, D-Sub and HDMI output to an external monitor or TV.The battery of the laptop provides about 2.8 hours of life.DynaBook T551/D8B 3D laptop weighs 3 kg and its dimensions are 381 x 254 x 30-37.6 mm. Toshiba DynaBook T551/D8B 3D notebook is expected to hit Japanese market by next month but the price details are yet to be revealed.. Tags:-Toshiba DynaBook laptop, Toshiba DynaBook 3D Laptop, Toshiba DynaBook 3D Laptop release, Toshiba DynaBook 3D Laptop price, Toshiba DynaBook 3D Laptop features, Toshiba DynaBook 3D Laptop details, Intel Huron River based laptops, Intel Huron River based 3Dlaptops, Sandy Bridge-based 3D laptops, Sandy Bridge-based Toshiba 3D laptops. 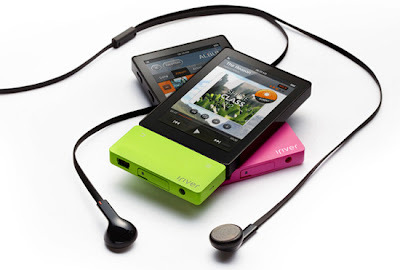 iRiver recently launched its all new next generation trendy portable media player, named iRiver U100 in Korean markets.The all new iRiver U100 comes in capacities of 4GB, 8GB and 16GB. 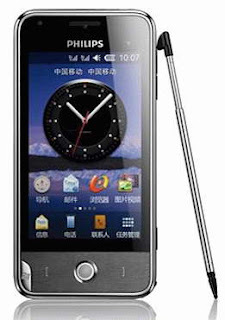 The new iRiver U100 media player comes equipped with a 3.1-inch touch screen display with a resolution of 320x480 pixels.The new iRiver U100 next generation media player supports playing 720p video and Features Wi-Fi, a microSDHC slot, an FM Tuner along with broad file format support for audio, photos and video. New iRiver U100 media player comes in a variety of shades along with multicolor options including black, green, pink, black with pink accents and black with green accents. New next generation iRiver U100 media player houses an excellent long life battery capable of providing about 50 hours of audio playback life and almost 11 hours of video life which is very much impressive and surprising.. 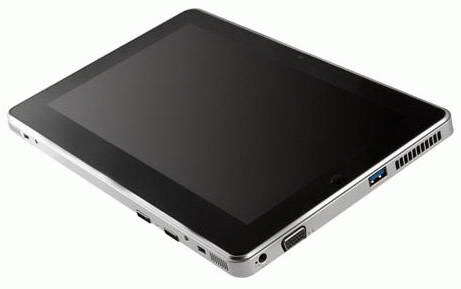 The official price and launch date of new iRiver U100 media player has not revealed yet. Tags:-iRiver U100 media player details, iRiver U100 media player features, iRiver U100 media player specs, iRiver U100 media player, next generation iRiver media player, new trendy media player, iRiver media player, multicolor media players, long battery life media player, media player with long battery life. 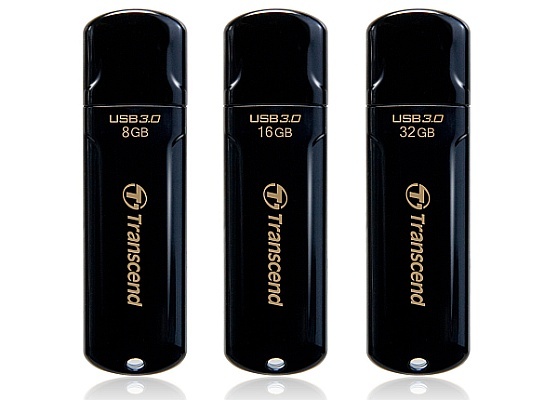 Transcend recently launched their all new USB 3.0 external hard drive, named Transcend StoreJet 35T3.The new Transcend StoreJet 35T3 with USB 3.0 interface provides a data transfer speeds of up to 130 MB/s and is available in capacities of 1TB, 1.5TB, and 2TB. 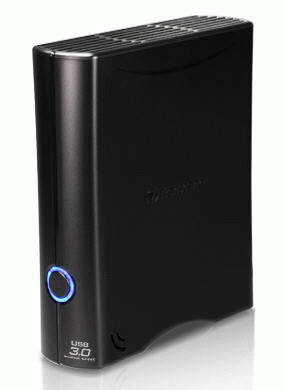 The new Transcend StoreJet 35T3 external hard drive has a 32MB buffer space and features 7200 rpm.The StoreJet 35T3 comes bundled with StoreJet Elite software for backup and security.The USB 3.0 StoreJet 35T3 has a thickness of 3.5-inch, weighs almost 1kg and its dimensions are 172.4 x 152.4 x 44.8 mm. Tags:-USB 3.0 External Hard Drive, latest USB 3.0 External Hard Drive price, transcend USB 3.0 External Hard Drive price list, new Transcend StoreJet 35T3 HDD, external HDD from transcend, USB 3.0 Transcend external HDD price, transcend USB 3.0 External Hard Drive capacities, transcend USB 3.0 External Hard Drive price details. Nokia in join hands with US mobile operator AT&T now on its way to introduce a new smartphone in US market, named Nokia X7.The new Nokia X7 Smartphone is expected to hit US by next month ie February 13th 2011. Though not officially confirmed we expect that the Nokia X7 includes 720MHz processor along with 512MB RAM, 3G, Wi-Fi 802.11 b/g/n, Bluetooth, A-GPS support, Micro USB and 32 GB support micro SD slot.We are not able to confirm this specification now and we will bring you more details after the official confirmation. Tags:-Nokia X7 Smartphone launch date, Nokia X7 Smartphone specs, Nokia X7 Smartphone preview, Nokia X7 Smartphone details, Nokia X7 Smartphone feratures, Nokia X7 Smartphone camera, Nokia X7 Smartphone available news, Nokia X7 Smartphone latest news, Nokia X7 Smartphone latest updates, Nokia X7 Smartphone configurations. Sony Bloggie MHS-FS3: world’s first HD 3D pocket camera introduced by Sony.The new slim Sony Bloggie 3D MHS-FS3 pocket camcorder is now available for pre-order at Amazon.Com for a price tag of $249.99. 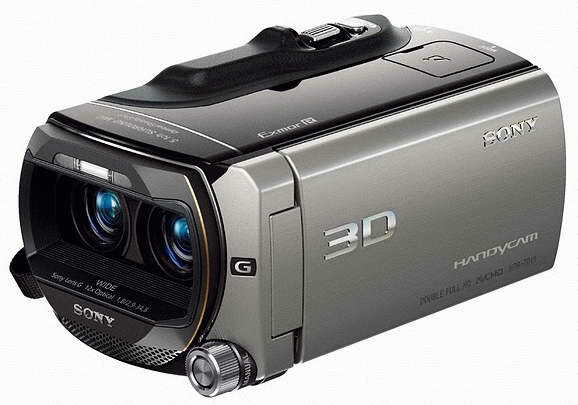 The new Sony Bloggie 3D MHS-FS3 camera equips a 2.4-inch 3D LCD display and includes dual 5.15MP Exmor CMOS sensor and dual lenses that is capable of recording 3D HD videos along with 5MP normal mode 2D photos and 2MP 3D still images. Sony Bloggie 3D MHS-FS3 camera Features 8GB internal memory, face detection and SteadyShot image stabilization, built-in LED light, HDMI output with 3D support, two stereo speakers and a flip-out USB arm for PC connection.The camera also comes packed with rechargeable battery. Tags:-first HD 3D pocket camera, sony first HD 3D pocket camera price, first HD 3D pocket camera by sony details, world’s first HD 3D pocket camera details, world’s first HD 3D pocket camera features, world’s first HD 3D pocket camera review, Sony Bloggie 3D MHS-FS3 camera price, Sony Bloggie 3D MHS-FS3 camera features, Sony Bloggie 3D MHS-FS3 camera images, Sony Bloggie 3D MHS-FS3 camera specs. Research In Motion (RIM) on its way to introduce the new generation of BlackBerry Torch smartphone, named BlackBerry Torch 2.The new BlackBerry Torch 2 Smartphone looks very similar in design to the BlackBerry Torch model but came with twice powerful processor. The new BlackBerry Torch 2 Smartphone comes equipped with a a 3.2-inch capacitive touch screen with 640 x 480 pixel resolution which is more compared to 360 x 480 pixel of Torch and is powered with a two times powerful 1.2GHz processor than previous model. 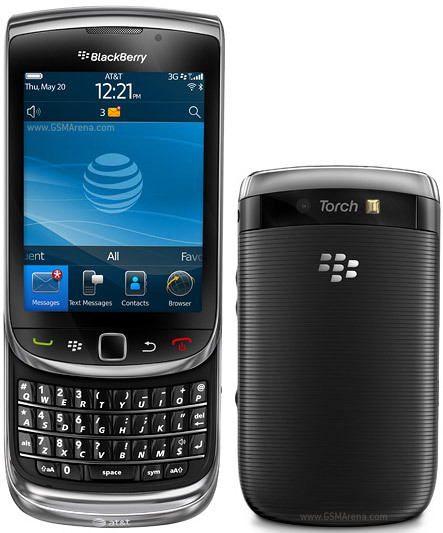 BlackBerry Torch 2 Smartphone includes a 512MB RAM and Features 8GB flash storage, magnetometer, Near Field Communication (NFC), 5 megapixel camera, WiFi, GPS, Bluetooth 2.1, accelerometer and proximity sensor. New BlackBerry Torch 2 Smartphone runs on BlackBerry OS 6.1 and support OpenGL ES API.The smartphone is designed to work in Quad-band GSM/GPRS/EDGE and Tri-band UMTS/HSPA 14.4Mbps networks and is housed with a 1300 mAh battery. 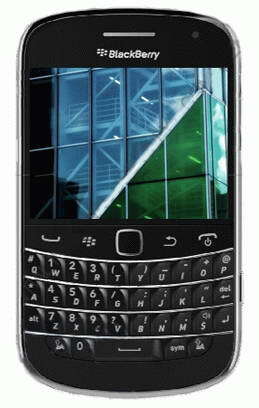 Tags:-BlackBerry Torch 2 Smartphone details, BlackBerry Torch 2 Smartphone features, BlackBerry Torch 2 Smartphone specs, BlackBerry Torch 2 Smartphone specifications, BlackBerry Torch 2 Smartphone launch, BlackBerry Torch 2 Smartphone release, BlackBerry Torch 2 Smartphone camera, BlackBerry Torch 2 Smartphone updates, BlackBerry Torch 2 Smartphone details, BlackBerry Torch 2 Smartphone news. BlackBerry manufacturer, Research In Motion (RIM) now on its way to release a new smartphone, named BlackBerry Dakota soon in markets.The new BlackBerry Dakota has a thickness of just 10.5 mm and is similar in design to the previous models but rich in features. BlackBerry Dakota Smartphone equips a 2.8-inch capacitive touchscreen display with 640 x 480 pixel (VGA) resolution and runs on BlackBerry OS 6.1.The new BlackBerry Dakota can be used as an access point with 3G mobile hotspot and the smartphone is designed to work in quad-band GSM/GPRS/EDGE and UMTS/HSDPA. BlackBerry Dakota Smartphone includes 768 MB RAM and Features 5 megapixel autofocus camera with LED flash, image stabilizer function, and record HD video, Near Field Communication (NFC), 4GB internal memory, accelerometer, Bluetooth, and Wi-Fi 802.11b/g/n.The smartphone also is said to have a magnetometer with the function yet to outed. 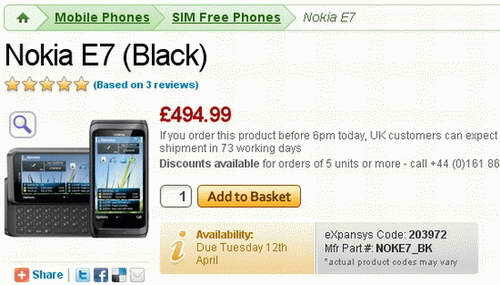 Price details of new BlackBerry Dakota Smartphone is not published at the moment. Tags:-BlackBerry Dakota Smartphone details, BlackBerry Dakota Smartphone features, BlackBerry Dakota Smartphone specs, BlackBerry Dakota Smartphone launch, BlackBerry Dakota Smartphone camera, BlackBerry Dakota Smartphone specifications. Samsung on its way to bring its all new smartphone for MetroPCS, named Samsung Forte SCH-R910.The new Samsung Forte SCH-R910 Smartphone supports 4G cellular network, LTE. New Samsung Forte SCH-R910 Smartphone equips a 3.5-inch Full Touch display with 324x480 pixel (HVGA) resolution and is powered with a 1GHz Hummingbird processor.The Smartphone runs on Google Android 2.2 OS with TouchWIZ UI. The Samsung Forte SCH-R910 smartphone Features side slide form factor with QWERTY keyboard, 5 megapixel camera, Bluetooth 3.0, USB 2.0 port and MicroSD card slot.The smartphone includes a 1500mAh battery and weighs 151.6g along with its dimensions are 116.9 x 61.2 x 15.35mm. Tags:-Samsung Forte SCH-R910 4G LTE Phone, Samsung Forte SCH-R910 4G LTE Phone details, Samsung Forte SCH-R910 4G LTE Phone specs, Samsung Forte SCH-R910 4G LTE Phone features, Samsung Forte SCH-R910 4G LTE Phone launch, Samsung Forte SCH-R910 4G LTE Phone review. 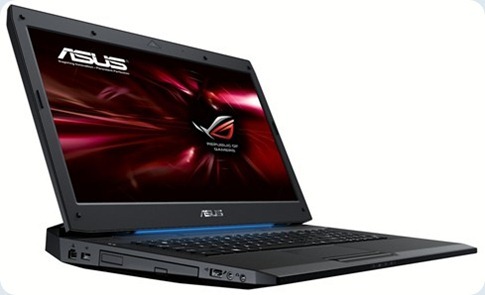 Asus recently started the sale of their all new Sandy Bridge-based gaming laptop, named Asus G73SW. The first model now available for sale is the Asus ROG G73SW-TZ083V.The new Asus G73SW Gaming laptop comes with a stylish stealth fighter-inspired design with a lot of features. The 3D version of Asus G73SW gaming laptop, named Asus G73SW-3D will also be launched in a few days.The Asus G73SW-3D Laptop will be bundled with a 120Hz 3D-ready screen and bundled with 3D Vision glasses. The new Asus G73SW Gaming laptop comes equipped with a 17.3-inch LED backlit display with 1920 x 1080 pixel resolution and is powered with a 2.0 GHz Intel Core i7-2630QM quad-core processor along with a GeForce GTX 460M 1.5GB graphics card.The Laptop also houses 8GB RAM, and 1TB hard drive ie by placing two 500GB hybrid HDDs. Asus G73SW Gaming laptop comes pre-loaded with Windows 7 Professional 64bit OS and Features TNX TruStudio audio technology, one-click overclocking functionality, Gigabit Ethernet LAN, 802.11 b/g/n WiFi, Bluetooth, USB 3.0 port, 4x Blu-ray combo drive, HDMI output, an 8-in-1 card reader.The laptop is housed with a 5200mAh 8-cell battery as back-up power house. The new ASUS G73SW-TZ083V Sandy Bridge-based gaming laptop now available for sale with a price tag of €1,799. 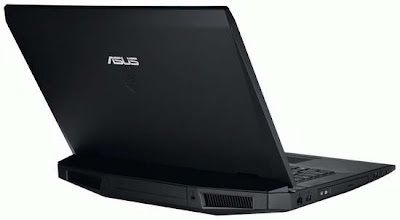 The Asus G73SW-3D Laptop ie the 3D version will be available soon for a price tag of $1,939. Tags:-Asus G73SW 3D gaming laptop price, Asus G73SW 3D gaming laptop features, Asus G73SW 3D gaming laptop launch, Asus G73SW 3D gaming laptop release, Asus G73SW Gaming Laptop price, Asus G73SW Gaming Laptop availability, Asus G73SW Gaming Laptop specs, Asus G73SW Gaming Laptop specifications, Asus G73SW Gaming Laptop review, Asus G73SW Gaming Laptop configuration. 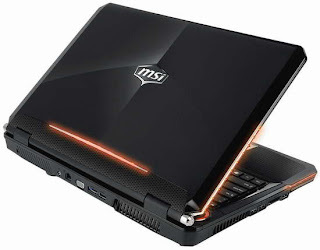 MSI recently launched their all new super powerful Gaming Notebook, named MSI GT680.The new MSI GT680 gaming notebook is based on Intel’s Huron River platform and houses high-end components like 2nd Generation Intel Core i7 mobile platform, dual solid state drive (SSD) architecture etc. According to MSI the GT680 gaming notebook is the King of Laptops with a record-breaking 18,162 points of PCMark Vantage tested. New MSI GT680 powerful notebook equips a 15.6-inch HD (1366×768)/Full HD (1920×1080) LED-backlit display and is powered with 2.0 GHz Intel Core i7-2630QM quad-core processor.The laptop houses advanced DirectX 11-ready nVidia GeForce GTX 460M discrete graphics card and supports up to 16GB of RAM and 640GB/1TB RAID 0 storage (120GB SSD + 500GB HDD) as storage option. All New MSI GT680 Gaming notebook Features TDE (Turbo Drive Engine) technology with one-button overclocking, Dynamic LED effect, THX TruStudio Pro for Dynaudio sound system (two speakers, one subwoofer), Cooler Boost, and ECO Engine technology for save battery life. The new MSI GT680 Gaming notebook also brings Bluetooth 2.0, 802.11 b/g/n WiFi, 7-in-1 card reader, a HDMI output, two USB 3.0 ports, and a 9-cell Li-Ion battery for power option.The notebook has a dimension of 395 x 267 x 55 mm. 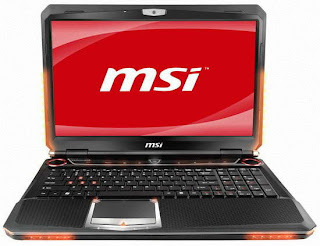 Tags:-MSI GT680 gaming laptop, MSI high powerful gaming laptops, MSI GT680 laptop features, MSI GT680 gaming notebbok details, MSI GT680 gaming configuration, powerful MSI Gaming Notebook, MSI GT680 super powerful notebook details, top powerful laptops, top laptops, high end MSI laptops. Gigabyte S1080- Gigabyte's new Intel dual-core Atom based Windows 7 Slate recently launched in Taiwan.The new Gigabyte S1080 Windows 7 Slate is expected to be available for sale soon in markets with a price tag of around $300. New Gigabyte S1080 Slate equips a 10.11 capacitive touchscreen display with 1024 x 600 pixel resolution and is powered with a 1.5GHz Intel Atom N550 dual-core processor.The new Gigabyte slate runs on Windows 7 OS and is designed to met the needs for a high-performing multitasking slate. Gigabyte S1080 Windows 7 Slate Features 1.3 megapixel webcam, 802.11b/g/n WiFi, Bluetooth 3.0, 320GB hard drive, one USB 3.0 port and a D-Sub output. Tags:-new Gigabyte Windows 7 Slate, dual core slate, Windows 7 Slate, Gigabyte S1080 slate, Gigabyte S1080 slate price, Gigabyte S1080 slate details, Gigabyte S1080 slate features, Gigabyte S1080 slate specs, Gigabyte S1080 slate configuration, new Gigabyte S1080 Windows 7 Slate price, Gigabyte S1080 dual core slate price details. 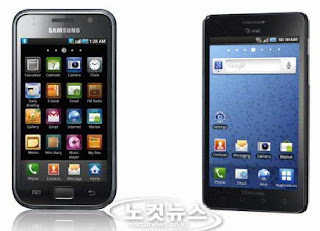 Samsung on its way to launch its all new touchscreen smartphone, named Samsung S5260 Star II.The new Samsung S5260 Star II handset comes as a replacement for its previous star mode l named Samsung S5230 Star. 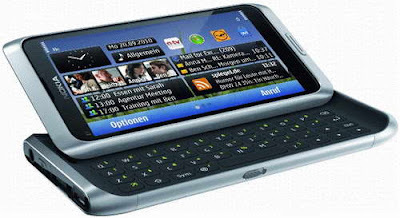 The new Samsung S5260 Star II smartphone comes packed with a 3-inch capacitive touchscreen display with 240 x 400 pixels (WQVGA) resolution and is expected to be based on Samsung bada platform.Other Features of Samsung Star II smartphone includes 3.2 megapixel camera, Bluetooth, Wi-Fi 802.11b/g/n, FM radio, and MicroSD card slot. According to the available information, the new Samsung S5260 Star 2 will be available from February 2011 with a price tag of about €125. 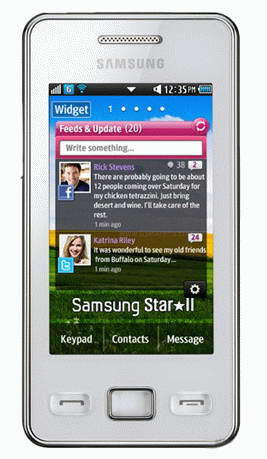 Tags:-Samsung S5260 Star II handset details, Samsung S5260 Star II specs, Samsung S5260 Star II price, Samsung Star II price tag, Samsung Star 2, Samsung Star 2 features, Samsung Star 2 specs, Samsung Star 2 images, Samsung Star 2 launch, Samsung Star 2 release date, Samsung Star 2 price tag. Philips recently introduced a new Dual SIM smartphone, named Philips V816.The new Philips V816 runs on Windows Mobile 6.5 Professional OS and is provided with dual SIM card slots that supports simultaneous support of two mobile networks (GSM 900/1800/1900 MHz). New Philips V816 Dual SIM Smartphone comes equipped with a 3.2-inch resistive touchscreen TFT display with 480 x 800 pixels (WVGA) resolution and Features 5 megapixel autofocus camera with LED flash, Bluetooth 2.1 + EDR, Wi-Fi 802.11b/g, GPS, 3.5mm headphone jack, 180MB of internal memory and a MicroSD card slot. Philips V816 smartphone packs a 1530 mAh battery capable of providing about 16 hours talk time life and almost a month in standby mode.The smartphone has a dimension of 111 x 55 x 13.9 mm. 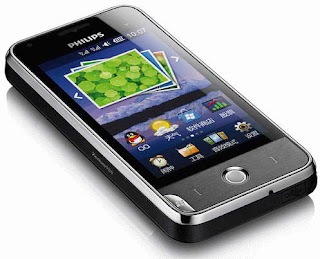 All new Philips V816 Dual SIM Smartphone will hit markets by the end of this quater of 2011 and is available initially in Chinese markets. Tags:-Philips V816 Dual SIM Smartphone features, Philips V816 Dual SIM Smartphone specs, Philips V816 Dual SIM Smartphone specifications, Philips V816 Dual SIM Smartphone launch, Philips V816 Dual SIM Smartphone release, Philips V816 Dual SIM Smartphone configuration. 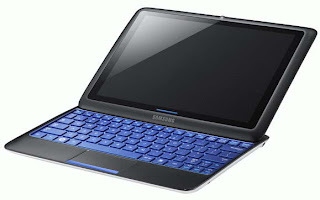 Samsung at CES 2011 introduced a new sliding tablet PC, named Samsung Sliding PC 7 Series.The new Samsung Sliding PC 7 Series tablet is based on Intel Atom next generation processor named Oak Trail and will hit markets by March 2011 with a price tag of $700. The new Samsung Sliding PC 7 Series Tablet/Netbook equips a 10.1-inch touchscreen HD LCD display with 1366 x 768 pixel resolution and is powered with a 1.5GHz Intel Atom Z670 processor.The 7 Series Tablet/Netbook also houses an Intel Integrated Graphics card along with 2GB DDR2 RAM and 32GB/64GB mSATA SSD. New Samsung Sliding PC 7 Series Tablet/Netbook Features sliding QWERTY keyboard, a 1.3 megapixel camera, 0.8Wx2 stereo speakers, digital compass, ambient light sensors, 802.11b/g/n WiFi, an accelerometer, an USB port, microSD card slot and optional WiMAX and 3G module. All new 7 Series Tablet/ notebook from Samsung runs on Windows 7 Home Premium OS with Samsung Touch Launcher and is provided with a 3-cell Li-Polymer battery capable of providing a battery life of about 8 hours.The sliding tablet weighs about 1kg and its dimensions are 262 x 172 x 20 mm. Tags:-Samsung Sliding PC 7 Series Tablet/Netbook details, Samsung Sliding PC 7 Series Tablet/Netbook launch, Samsung Sliding PC 7 Series Tablet/Netbook price, Samsung Sliding PC 7 Series Tablet/Netbook specs, Samsung Sliding PC 7 Series Tablet/Netbook details, Samsung Sliding PC 7 Series Tablet/Netbook features. Verizon in join hands with Samsung on its way to bring the new Samsung 4G LTE tablet, named Samsung Galaxy Tab 4G in market soon.The new Samsung 4G LTE tablet is expected to hit market by mid-2011. The new Samsung Galaxy Tab 4G equips a 7-inch enhanced TFT Multi-touch display with 1024 x 600 pixel (WSVGA) resolution and is powered with a 1.2GHz Cortex A8 Hummingbird application processor.The Galaxy Tab 4G LTE tablet runs on Google Android 2.2 Froyo OS and support Adobe Flash 10.1. Samsung Galaxy Tab 4G LTE tablet Features 5-megapixel rear camera with LED flash, 1.3-megapixel front camera for video chating, Bluetooth 3.0, Wi-Fi, A-GPS, USB port and microSD, microSDHC card slot.The tablet also houses Adobe Flash and HTML5 support browser. The price details and exact launching date will be announced later. Tags:-Samsung Galaxy Tab 4G, Samsung Galaxy Tab 4G details, Galaxy Tab 4G LTE tablet specs, Galaxy Tab 4G LTE tablet features, Galaxy Tab 4G LTE tablet specifications, Galaxy Tab 4G LTE tablet launch, Verizon Samsung Galaxy Tab 4G LTE tablet release.